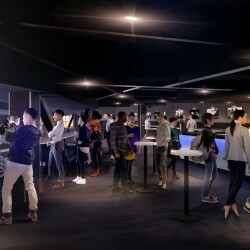 The Wells Fargo Center has installed 75 "HappyOrNot" machines to allow fans to rate restrooms, retail locations, and concession stands. 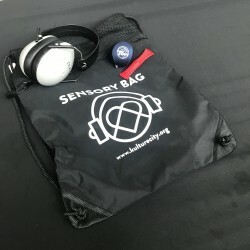 The devices have just four buttons – ranging from dark green and very smiley to bright red and really frowny – and collect volumes of anonymous data. Dave Scott is talking as if he's a millennial. 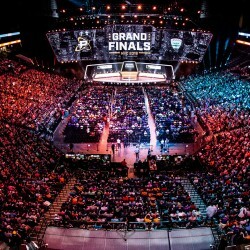 He's on his feet in the conference room at the top of the Wells Fargo Center that once served as Ed Snider's office, enthusiasm spilling from every pore of his 65-year-old body as he raves about players on his esports team — "Carpe," "fragi," "Poko," and "snillo" — the latest stars of Comcast Spectacor's ever-increasing empire of sports entertainment. 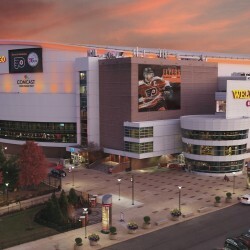 Comcast Spectacor has entered into a long-term agreement with Constellation that will mean the Wells Fargo Center will be powered completely by wind energy. If professional video gaming teams competed at sports arenas that offer pro basketball and hockey games, would anyone care? 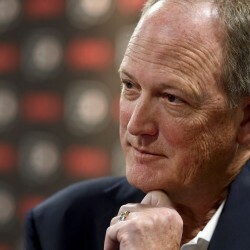 The answer, as demonstrated at the Barclays Center in Brooklyn on Friday and Saturday, seems to be a resounding yes. 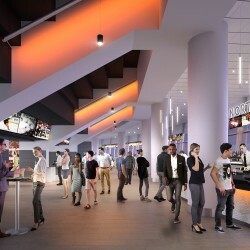 Comcast Spectacor is investing $250 million to renovate the Wells Fargo Center to create the ultimate entertainment experience for fans. 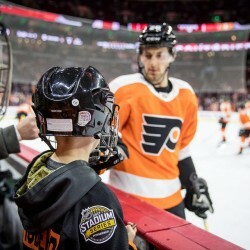 The Philadelphia Flyers are a hockey team that serve as a prime example of a brand that knows how to engage and reward their season ticket holders. 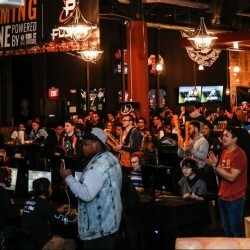 The Philadelphia Fusion are using watch parties to engage their Philly-based fans. 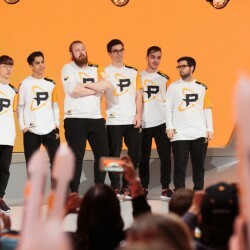 Philadelphia Fusion President Tucker Roberts talks about the team, what to expect, growing the organization and the Overwatch League. 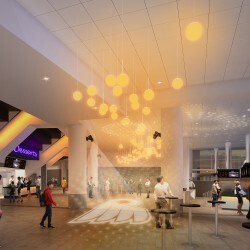 South Philadelphia's Wells Fargo Center is undergoing some big changes this summer.